Looking for Private Funding? Try Foundation Directory Online. All current UConn faculty, students, and staff now have access to Foundation Directory Online. Covering 28 broad fields of interest ranging from agriculture to youth development, FDO provides information on U.S. based private and corporate foundations that fund national and international projects. The database includes information on each foundation’s application process, the number and amounts of grants given each year, recently awarded grants and their recipients, geographic focus, specified areas of interest, contact information, and more. Additional content includes links to foundation websites, recently filed IRS 990 forms, listings of recently announced RFPs and Foundation Center newsletters. Foundation Directory Online is jointly funded by the Office of the Vice President for Research, the UConn Foundation, and the UConn Libraries. It has recently come to our attention that Adobe Digital Editions, the software we use to allow access our ebooks, has been transmitting unencrypted reader data. The information Adobe is collecting includes the title, publisher, and other metadata for the book you have downloaded, and the information is being sent to Adobe’s server in plain text. We stand with our colleagues at other libraries in opposition of these practices, arguing that this is not only a violation of privacy but also a security concern since it allows for the potential interception of the data. The vulnerability is limited to the newly released Digital Editions 4, which is a requirement for downloading ebooks. If you are concerned about your right to privacy, we recommend that you uninstall Adobe Digital Editions 4 from all of your devices and contact either your subject specialist liaison or our electronic resource services unit for possible print options. You can also download an earlier edition of Adobe Digital Editions. The UConn Libraries values your right to privacy and have expressed our concerns to our ebook vendors, asking them to advocate on our behalf. We are also members of the American Library Association, which is working with Adobe to correct this issue. If you have walked around the Homer Babbidge Library at various times of the day you know the vibe changes depending on what time it is. The morning hours are a flurry of students printing out their paper before class, adding that last citation, or grabbing a cup of coffee at Bookworms and checking what happened on Instagram last night before starting the day. We also begin to see the serious researcher who will spend the better part of the day with us and as the day progresses a bustling space that serves as a central location to meet up with friends and classmates, picking up interlibrary loan requests, asking subject specialists for help on research projects and completing short bursts of work between classes. In the evening, the mood turns more serious, when we become the place where students hunker down, setting up in their favorite spot for the night. Each and every stage of our daily usage is important to us and we heard from our users that closing at midnight instead of 2am was cutting into that late night serious study time. 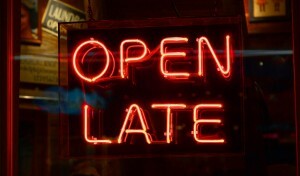 It is for that reason that we are resetting our fall hours to better serve those late night patrons. Starting this Sunday, October 19th the Homer Babbidge Library will reopen until 2am every Sunday-Thursday in the academic year. And what happens during finals? All bets are off! During the 2013-2014 academic year we tested extending our 24/7 hours to two full weeks at the request of the Undergraduate Student Government. In the interest of working with them again this year we will once again provide that service. So starting on December 1st, the Homer Babbidge Library will open and remain open until 6pm on Sunday, December 14th. We take our responsibility as part of the academic hub of the university with great importance. We continue to work towards providing resources and services online with the realization that our resources are valuable on and off campus. 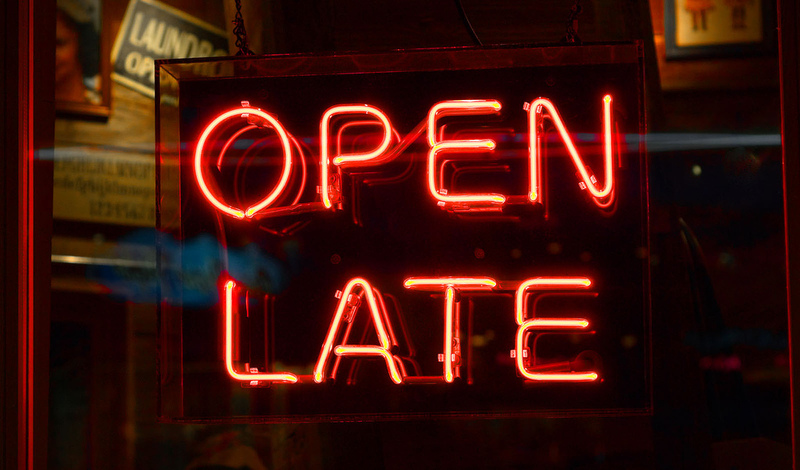 We are also aware that there are students who would like more time in the library, even after 2am and are currently working towards increasing available quite study space when the library is closed. When we have more finalized information about that we will share.